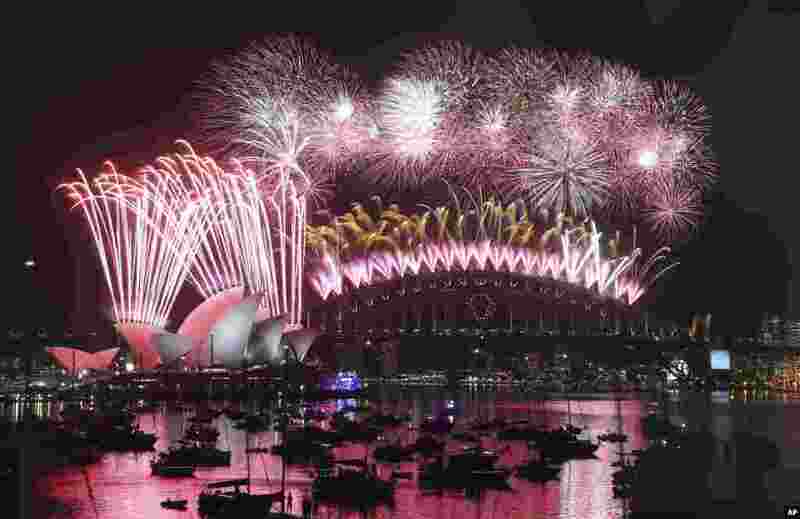 ١ Fireworks explode over the Opera House and the Harbour Bridge during New Years Eve celebrations in Sydney, Australia, Jan. 1, 2015. 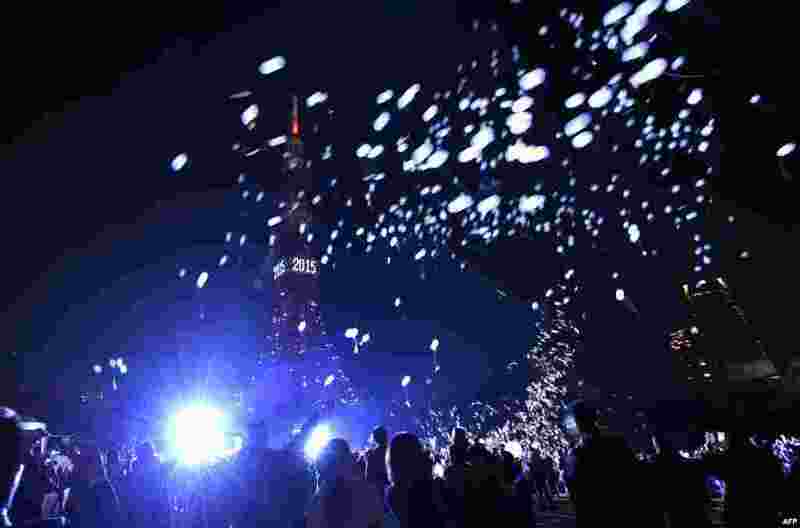 ٢ People release balloons beside the Tokyo Tower to celebrate the New Year during an annual countdown ceremony in Tokyo, Japan, Jan. 1, 2015. 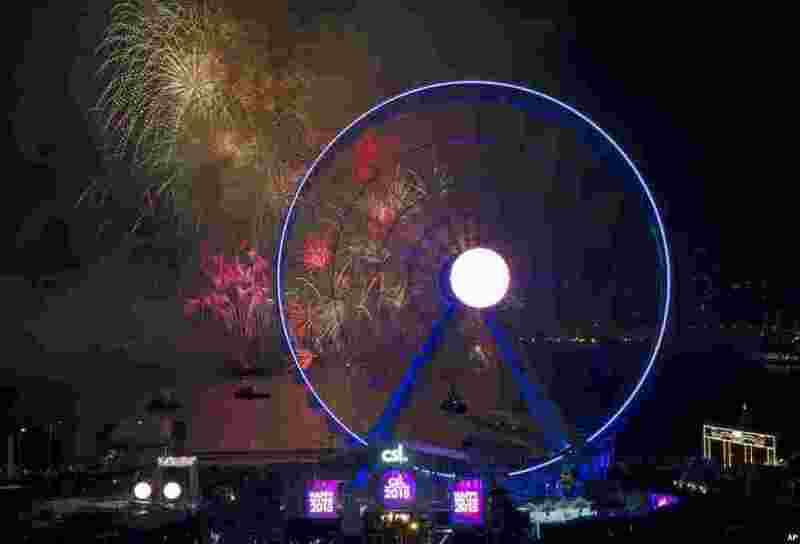 ٣ Fireworks explode over the Victoria Harbor as celebrating the 2015 new year in Hong Kong, Jan. 1, 2015. 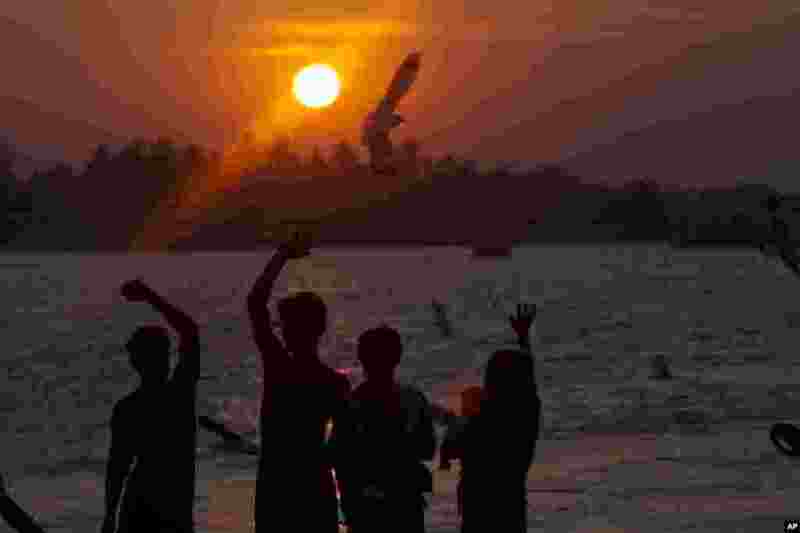 ٤ A group of people wave as seagulls fly near by during the last sun set of the year at a jetty in Yangon river, Myanmar, Dec.31, 2014.